‘Tis the season to teach your kids how to bake cookies from scratch! Kick off the holidays by reading our creative tips. Then roll up your sleeves and get baking! 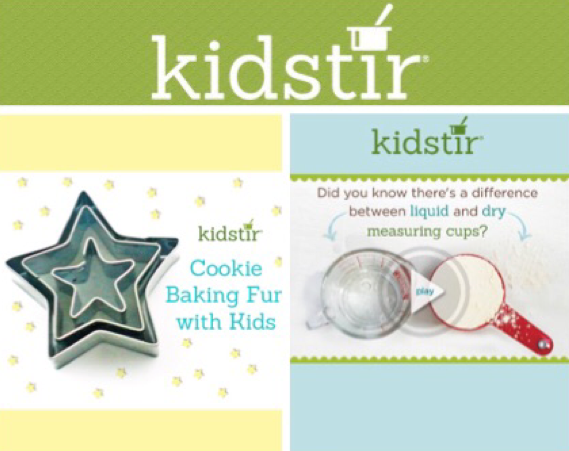 Whether they make kitchen gifts for teachers or cook up sweets for a family party, they’ll have fun mixing cookie batter and learning their way around the kitchen. Share these cookie baking tips with your kids. 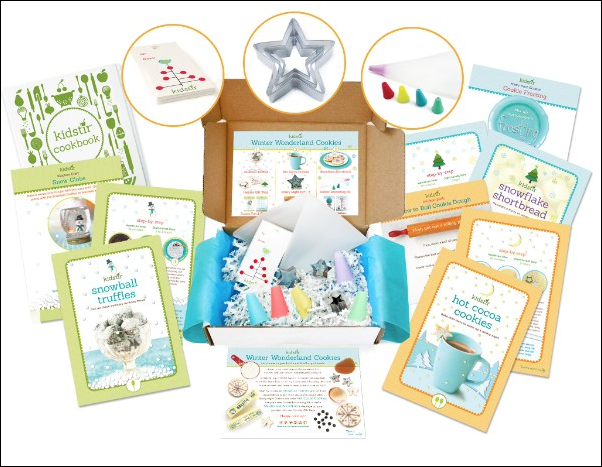 Look at your cookie recipes from the Winter Wonderland Cookie kit and other favorites. Then stock up on the ingredients, such as butter, sugar, flour, and confectioners’ sugar for frosting. Now you’ll have all the cookie baking basics in the cupboard and on hand next time the baking urge strikes. Gather all your cookie baking tools, such as cookie sheets, dry and liquid measuring cups, mixing spoons, and potholders. If you need an extra cookie sheet, stop by a kitchen supply store to pick one up. Let the kids pick out a few new cookie cutters while you’re there. Start with ingredients that are at room temperature, measure carefully (check out our fun video below for tips on the difference between measuring liquid and dry goods). Remind the kids to stay in the kitchen when their cookies bake — and check them a few minutes before the timer goes off. Share homemade cookies as gifts! Encourage your kids to share their home-baked goodies. Wrap them up in plastic or waxed paper and add a personalized gift tag. There’s nothing sweeter than a gift made with love! Before your kids get baking, share this video on how to measure properly. Once they get the hang of it, they’ll be busy as elves making holiday cookies in the kitchen! Here’s the video transcript: Kitchen Skills Measure up! Did you know there is a difference between liquid and dry measuring cups? With liquid ingredients, use a clear measuring cup, then read the measure from eye level. For dry ingredients, fill your measuring cup, then use this side of a butter knife to level it off. Perfect! Winter Wonderland kits are on the way to subscribers. There are only a limited number available this holiday season! Sign up for a subscription to get yours before they’re gone! For an amazing 50% off the first kit of your new subscription, use code GIFT50 at checkout. If you’re playing Santa, be sure to order by Sunday, December 11 (Sunday, December 4 for Hawaii, Alaska and FPO/APOs) to ensure delivery by Christmas Eve! Discount cannot be combined with any other offers and/or applied retroactively to previously placed orders.